How often do you get a chance to celebrate your peeves? Yes, that says peeves, not peeps. 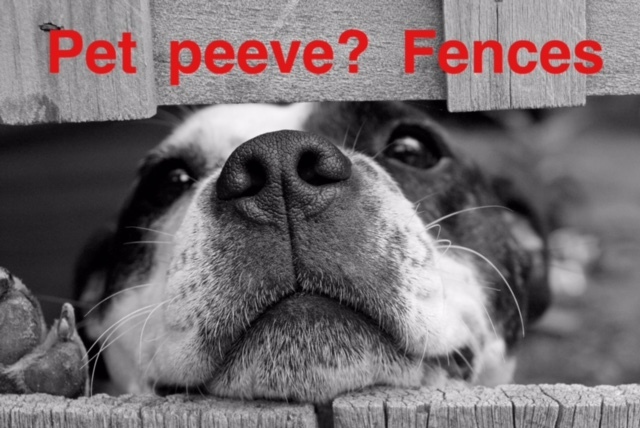 The second week in October is National Pet Peeve Week. I’m not sure how one celebrates a pet peeve. Do you own the peeve or let it go? I have no idea. I say let’s just have some fun with them. Are robocalls, bumper huggers, sticky countertops, or lost keys on your list of pet peeves? My pet peeve is people who don’t use their turn signal. I own it for sure! My pet peeve are people who sit in their cars and text at the traffic light — then they aren’t paying attention when the light changes! I always wind up tapping the horn to get their attention to GO! My pet peeve is when people get in their car to leave, see that you are waiting for their parking spot, and proceed to check their cellphones/text messages, etc. Grrrrr! Individuals talking during lectures, meetings, etc…loud enough that it distracts others in the room. I agree some of my pet peeves are those mentioned in the previous replies. However my biggest pet peeve is the chip in our credit/debit cards. They are prone to getting stuck and /or cracking the cards so that you need to replace it. So the number you have remembered and signed up for automatic monthly withdrawals is changed along with your pin number and now you have to go into all your accounts and change everything hopefully you’ll be able to remember all those accounts so as not to get overdrawn payment fees attached to your bills. Has anyone else experienced this problem/ It’s frustrating. Suzy — YES!!! That has happened to me! It is sooooooo frustrating!!!! !